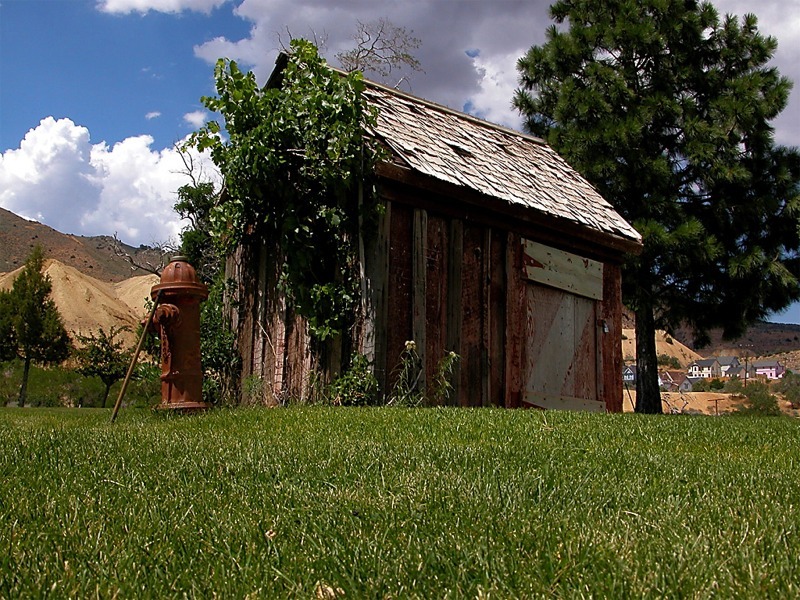 click photo to enlarge Virginia city these days still shows signs of the wealth it enjoyed in it's earlier times. The large ornate churches and other large buildings are signs that this city was prosperous. Today it is a fun destination for tourists. 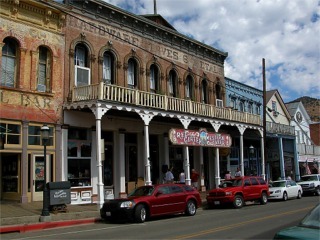 It has a unique blend of shops, old buildings, casinos and restaurants. click photo to enlarge This view shows a couple of the churches. Inside the church on the left has very beautiful and ornate woodwork and many stained glass windows. 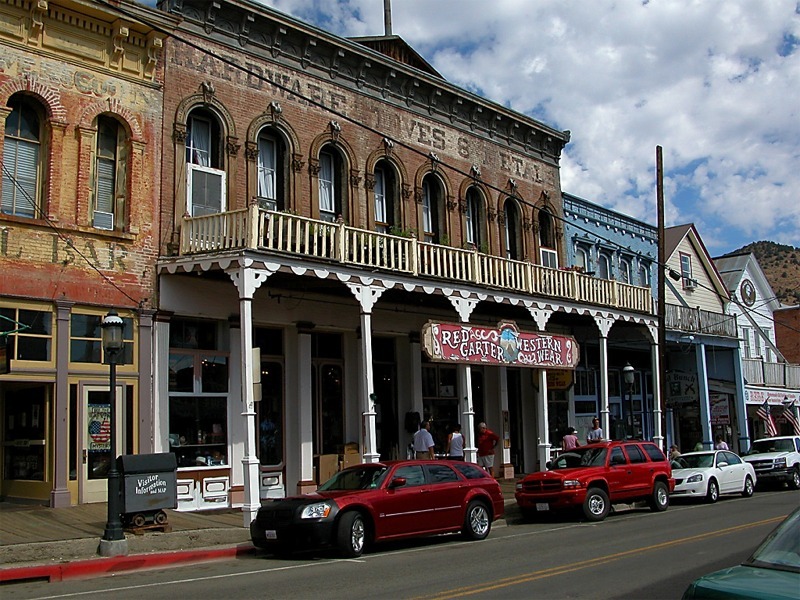 Virginia city was home to the Comstock Lode. 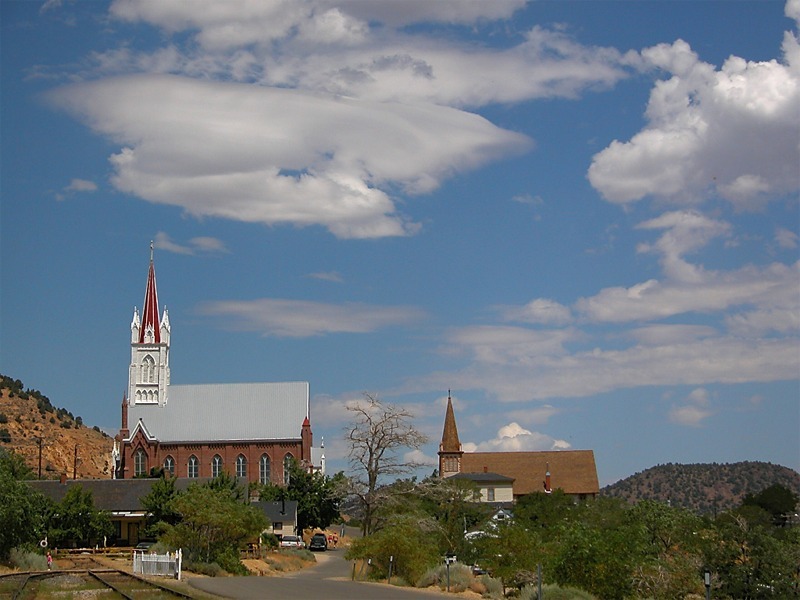 click photo to enlarge This is Storey County Courthouse. 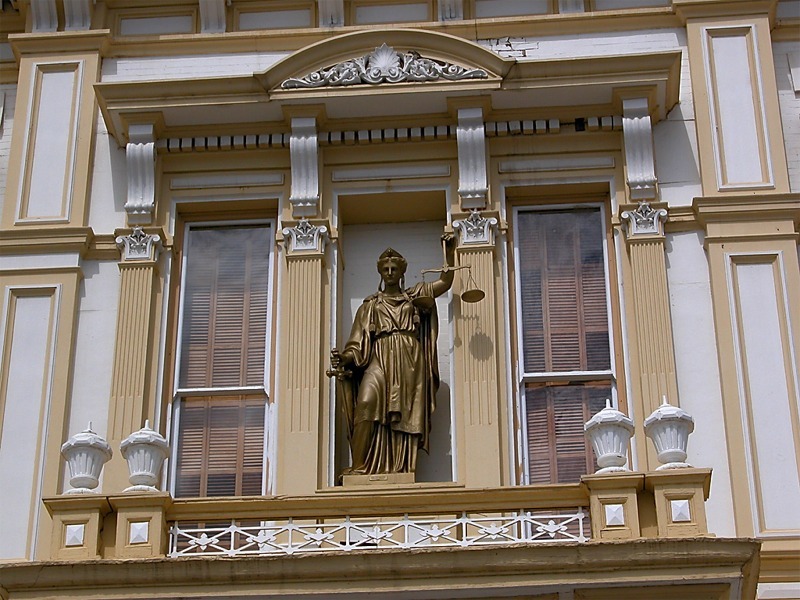 The statue of Lady of Justice here is not blind folded. Most depictions of her she is blind folded to show the justice is blind. In one hand she has the scales of Justice and in the other a sword. Hmm could this be something else for the ACLU to complain about. 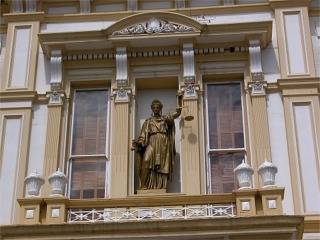 After all Lady Justice is a goddess and it is found all over the US in courthouses. 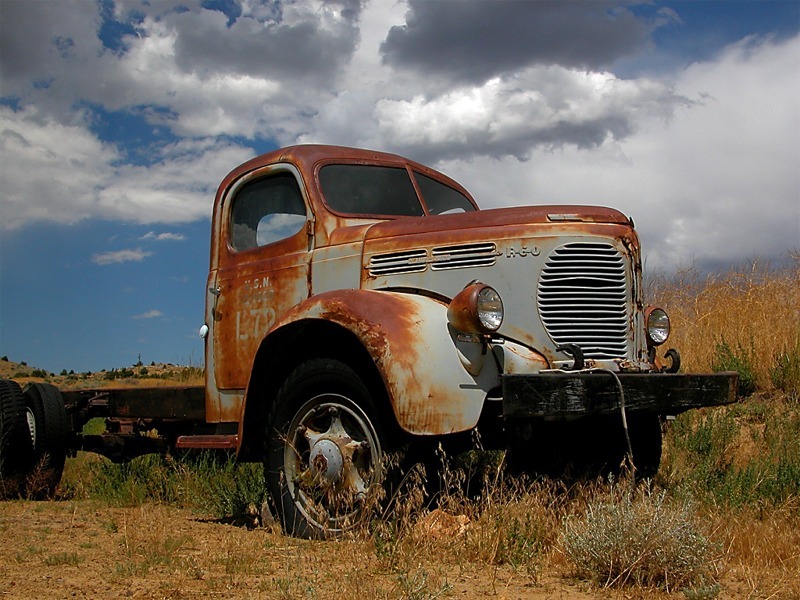 click photo to enlarge This old Navy truck was just too cool sitting there rusting away. Notice the storm clouds in the background. We did get a gully washer as they call them in this area about an hour after this picture was taken. click photo to enlarge Well, sometimes I guess I like to get a little artsy with my pictures. <grin> Just a picture of an old fire hydrant. But the mix of colors and textures was nice.